Mediterranean eatery opening second location. 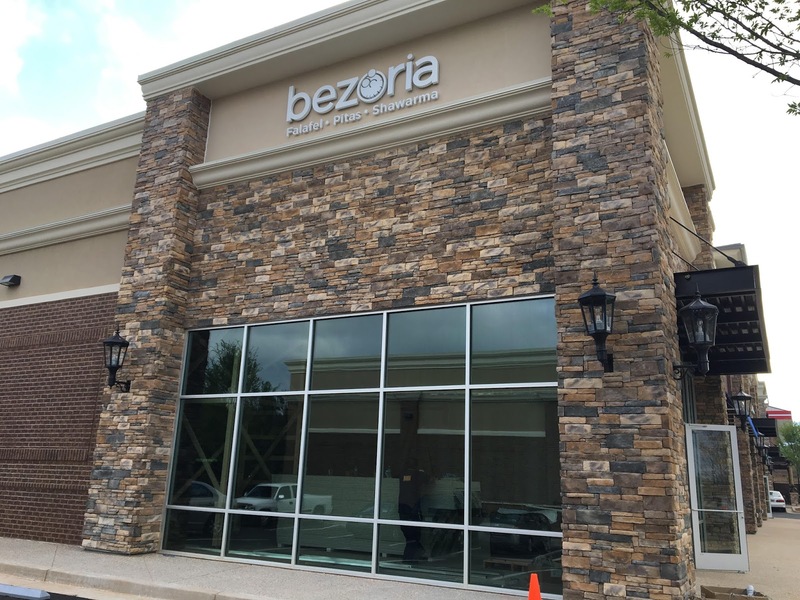 Bezoria, a growing quick serve Mediterranean eatery specializing in falafel, pita and shawarmas, plans to open its second location. The original Bezoria (originally Bazaria) is located in midtown at the corner of Peachtree & 8th Streets and opened in 2014. The new location will open in a 2200 square foot endcap at The Atwater, a new center on Old Milton Parkway, across from Avalon in Alpharetta. The Alpharetta location, like the midtown restaurant, will be corporately owned. Bezoria is owned by partners Yogi Patel, Imtiaz Ramzan and Nasser Amer. Patel is the co-founder and franchisor or Bezoria but is also a franchisee of two other Atlanta-based quick serve restaurants: Uncle Maddio's Pizza and Tin Drum Asiacafe. Ramzan's LinkedIn page indicates that aside from his involvement with Bezoria, he is a "Storage Engineer" at Norfolk Southern Railroad. Chef Nasser Amer relocated from Chicago where he was executive chef and co-owner of Dawali Mediterranean Kitchen, a similar (but full service) restaurant, to become a partner in Bezoria. Bezoria joins Firebirds Wood Fire Grill, a Charlotte-based full service which recently opened, Starbucks, soon to open Pieology, at&t and Mattress Firm as tenants in the center. Patel told me he hopes to have the Alpharetta location open in July with plans to have a third location open before the end of the year. Are you excited for the expansion of Bezoria? Who in your opinion offers the best quick serve Mediterranean fare in metro Atlanta? Where else would you like to see Bezoria open? Anyone who works on the west side of 400 and loves the grub at Jerusalem Bakery will now be able to save the 30 minutes driving down OMP to get essentially the same type of food (although I will still choose House of Hummus for my Lebanese/Med food fix). Smart location considering the built-in customer base with the opening of Gwinnett Tech (within walking distance) and all of the hotel space going up in Avalon (also within walking distance).